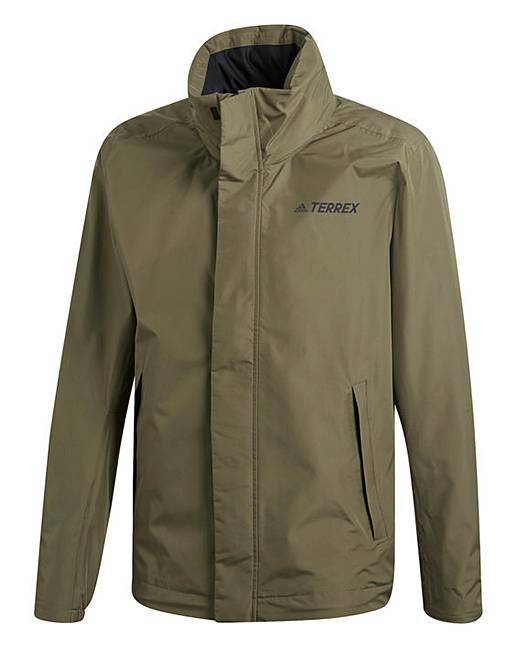 Don't let wet weather slow you down. 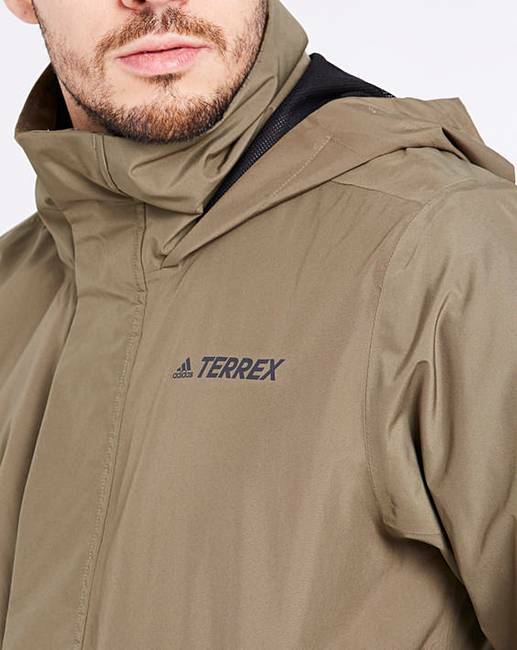 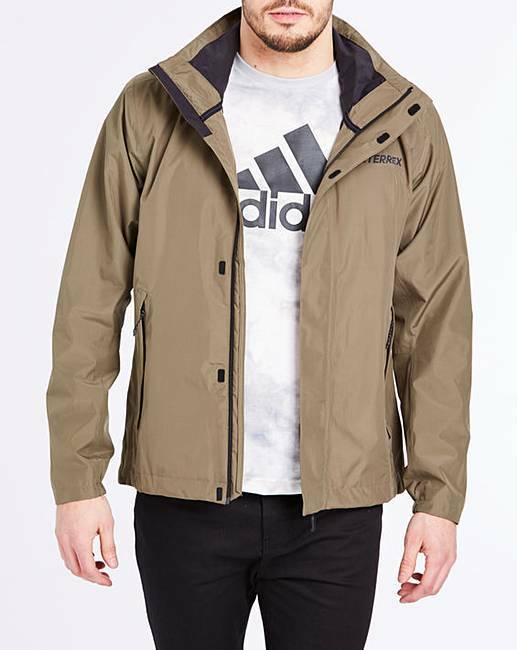 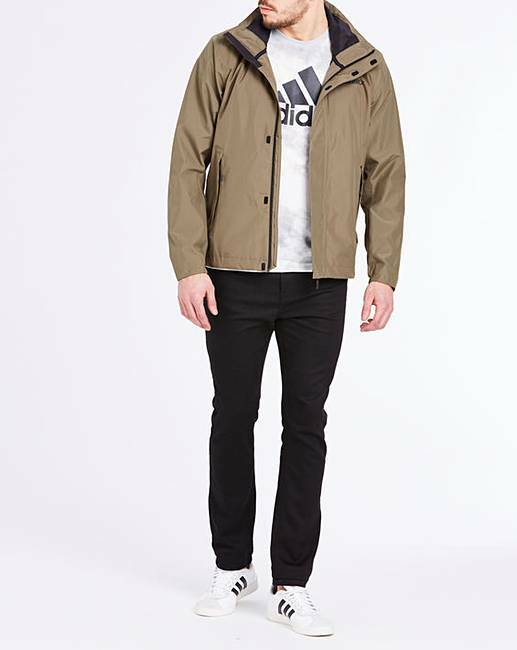 Stay the course when the clouds open in this adidas Terrex rain jacket. 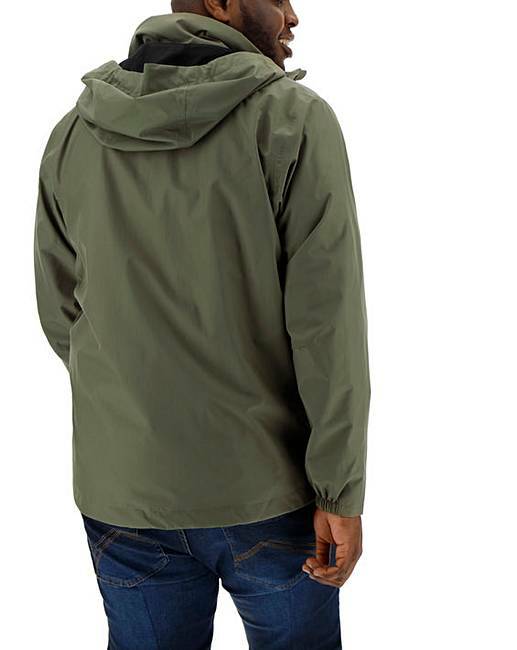 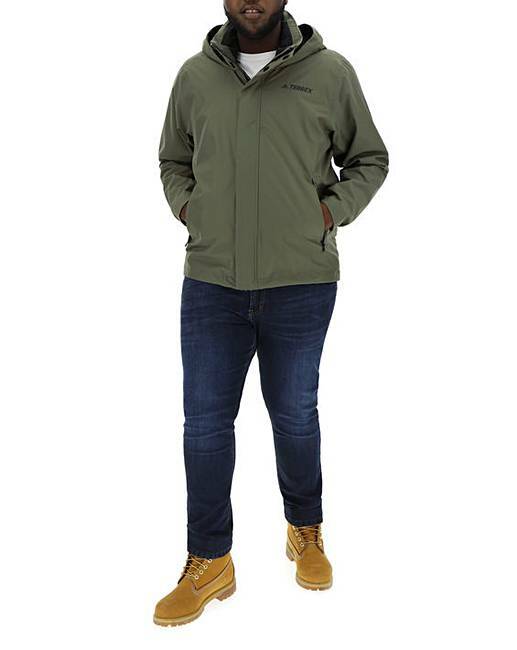 A waterproof, breathable build sheds rain to keep you dry and on the move. 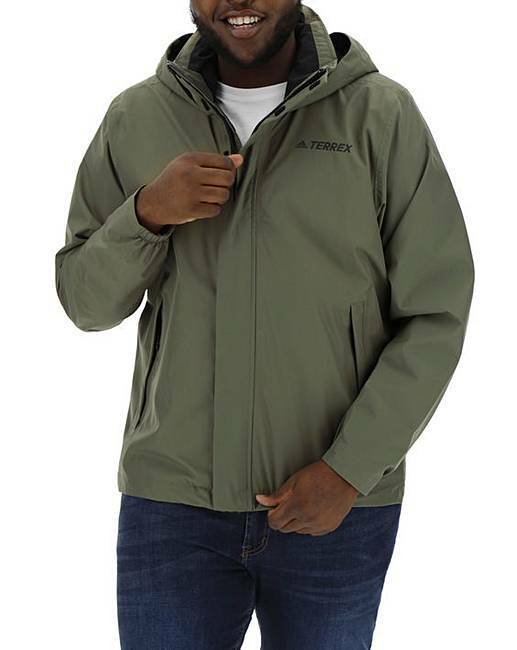 The high neck and adjustable hood offer added shelter from the storm.